Hope you're well. Just a quick one for a change. ...so, Cloud Recording is now available in Microsoft Teams. It is still in preview so it probably isn't totally finished. But I can say for sure that it works. I just wanted to give you some quick detail on enabling it, using it and anything else you might need to know. First things first. 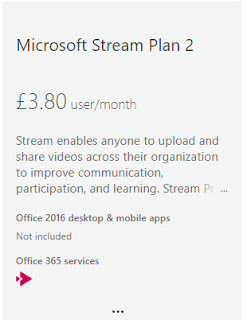 If you want to use it, you need a license for Stream for Office 365. Stream? you say. What does that have to do with Teams? Stream is actually the engine behind Cloud recording. It provides the storage, playback and sharing capability, plus transcription and indexing. Everything you need to be able to record and watch the recording. All users that initiate recording need a license with the rights to upload videos to Stream. Users that view the recordings also need a license which includes the rights to view the video in Stream. Stream is available as two plans. Plan 1 and Plan 2. Plan 1 includes view and upload rights. 2 includes more (see below). 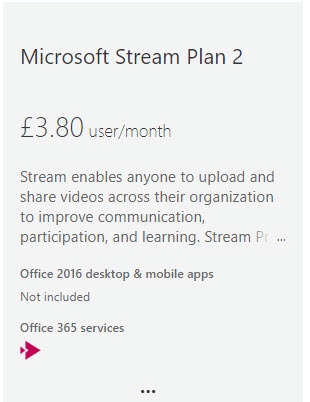 Stream Plan 1 is included as standard with Office 365 Enterprise and Education E1 and E3. 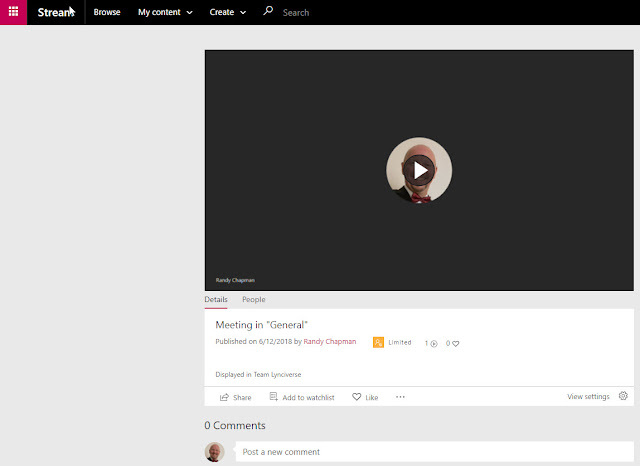 Stream Plan 2 is included in Office 365 Enterprise and Education E5. It is also available as an add-on to plans E1 and E3 as well as Kiosk. Stream is not available in Business plans e.g. Business Premium and Business Essentials. Office 365 Kiosk plans have view rights only. 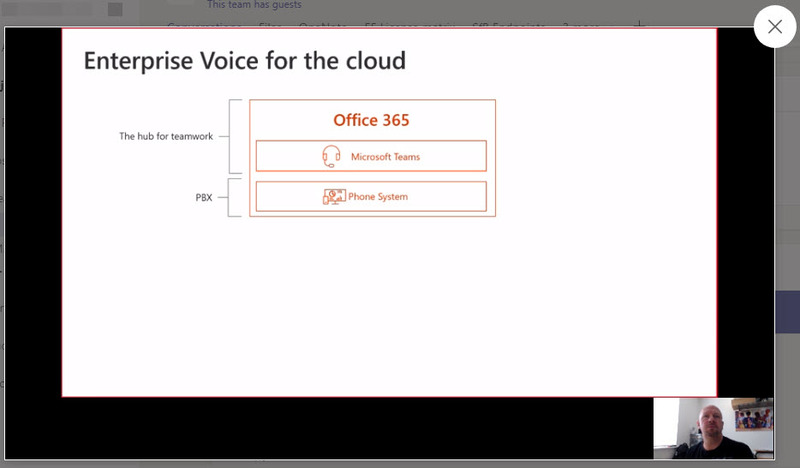 It might go without saying, but your user also needs to be licensed for and enabled for Microsoft Teams. Teams is available in Business, Enterprise and Education Plans as standard and as an add-on (free 1-year trial) for some smaller plans. What's the difference between Plan 1 and 2? You can see the table above which shows you what's available in each plan. From a feature perspective, plan 1 gives you record and upload and playback with inline transcription [CC]. That might be enough for some. But what we say in the demos at Ignite or Enterprise Connect or both was the ability to search the transcription for keywords and skip ahead to those sections. That was awesome and I know most of us want that. It's okay of you have E5, but not for the vast majority of companies out there with E3. The add-on costs £3.80 per user per month in the UK (plus VAT). Not sure companies will be forking out for every user in a hurry. At least not just for the extra meeting recording options. What do you think? Once you have the licensing make sure you assign the licensing to your users. I won't cover that here. You can make changes to the meetings policies in PowerShell. Specifically in the Skype for Business Online PowerShell. Wait, what? I thought this was a service in Microsoft Teams. 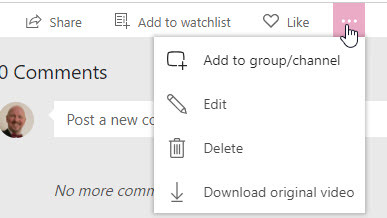 It is, but obviously the meetings policy commandlets haven't been ported over to the MicrosoftTeams module. Now you need to enable recording and transcription. If you have assigned other user policies to users and want to fallback to the Global policy you just need to clear out the policy. 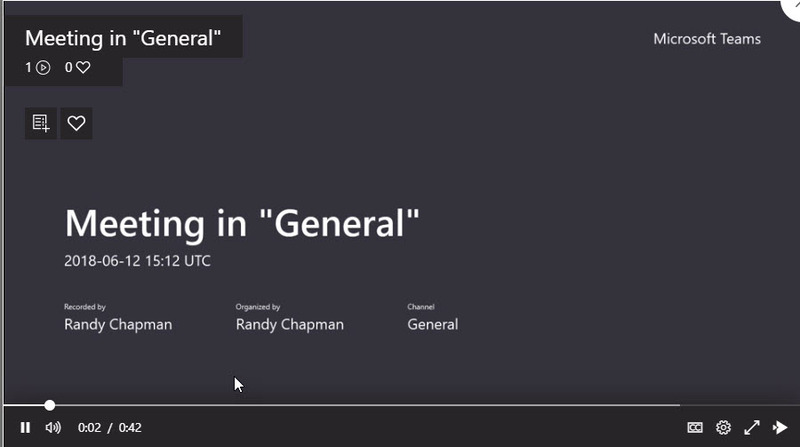 Update: Recording is enabled by default for the Global Teams Meeting Policy. Just start a meeting in Microsoft Teams, click on the ellipses menu button and choose start recording. I tried Recording in the full Windows client and in browsers including Chrome and Edge and it works the same in all of them. Sadly the control isn't available in the mobile client (yet). Interestingly, I scheduled a meeting and invited an external participant and saw the ellipses menu so I decided to look. As you can see below, they get the menu item for start recording, but it is greyed out. 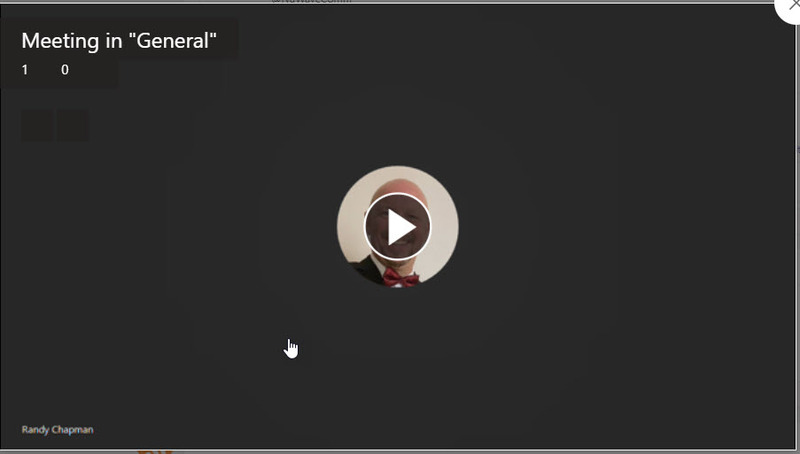 This is the experience if you don't have recording enabled for the meeting policy assigned to your user account. Anyone who meets the following criteria can start or stop a recording, even if the meeting organiser isn't present. Has an Office 365 Enterprise E1, E3, or E5 license. Has a recording license from an IT admin. Isn't a guest or from another company. Has Microsoft Stream upload video permissions. You can stop the recording by doing the same, before the meeting ends. Recording automatically stops once the meeting ends. 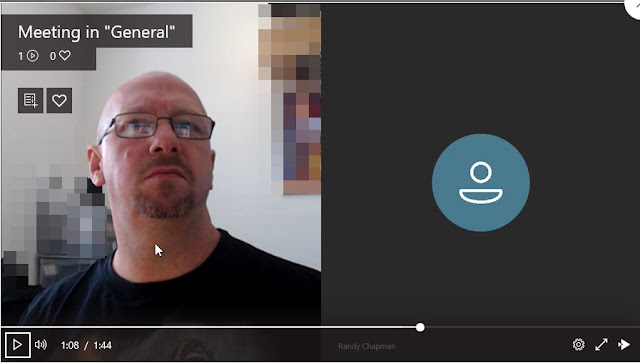 You'll see a message in the channel you had your meeting in that recording is being uploaded and will be available shortly. Once that's done and it's ready you'll have the playback icon. I won't go into all the options. I just wanted to get a quick post out to give you the basics and let you discover the rest on your own. Go, discover, play. 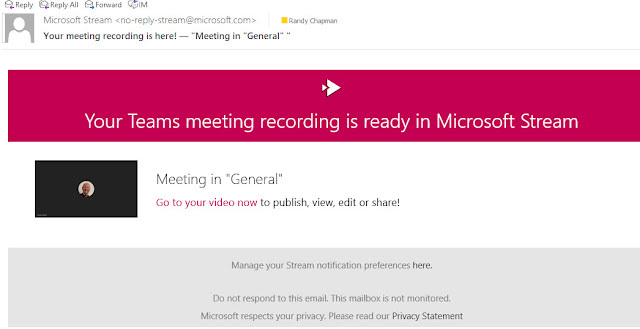 You also get an email with a link to the recording which takes you to Stream for playback. Before I forget. Make sure you plan for storage requirements in Stream. A 1-hour recording is 400 MB. Make sure you understand the capacity required for recorded files and have sufficient storage available in Microsoft Stream. Read this article to understand the base storage included in the subscription and how to purchase additional storage.